As part of a Blog Tour organized by Great Escapes Virtual Book Tours, the spotlight today shines on Dressed to Kill, An Antique Hunters Mystery by Vicki Vass. As part of the release celebration, the author is here to tell us a bit about her love of reading. this year and finished this week. I am very excited by this accomplishment. 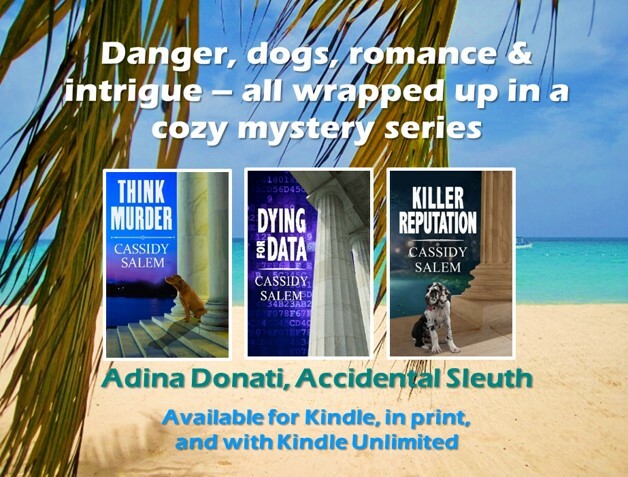 This was done while working full time, writing the fifth book in the Antique Hunters mystery series and taking care of four pets – two Australian shepherd puppies and two cats. When looking over the list of books I read throughout the year, see it is quite varied. It truly transcends genres. I’ve read everything from biographies to mysteries to romance. It includes books by some of my favorite authors like Sophie Kinsella and John Grisham. And, books by new to me authors like Shari Lapena and Ruth Ware. It include biographies of the grandchildren of Commodore Vanderbilt and Alexander Hamilton. And then there is the re-imagining of my favorite book, Pride and Prejudice. I read several prize winners. There is only one book I picked up and was not able to finish. I tried to read a fictionalized account of Thomas Cromwell and after slogging through 100 pages, I had to give it up. I may try it again or perhaps watch the series based on it. Reading for me is relaxation. I love to kick back with a book and while away the hours. And now that I am writing my own books I often rely on books for research. For Dressed to Kill, the fifth book in the Antique Hunters Mystery series, I read several books about Mary Todd Lincoln. The book involves a dress sewn by Elizabeth Keckley, Mary Todd’s dressmaker during the White House years. Even though I’ve accomplished my reading goal for the year, I am still reading. There is nothing more pleasant on a cold winter’s night than to sit by the fire reading a book. I have several books on my shelf that I have put to the side so I can complete my goal. These include a history of the Romanovs and an accounting of the Attica prison riot in the 1970s. These heavyweight tomes had to take a backseat so I could accomplish my goal. I still have stacks lining my closet walls and expect to continue to add to my reading collection. Books offer glimpses into a life of what if’s, what could be and what may happen. They really add to the fabric of our lives. I try to do that in my writing, taking readers on a journey of what if’s and what could happen. I also try to balance that with what is believable in the real world. Particularly with my two main characters, Anne Hillstrom and CC Muller. They traverse their antique hunting world, encountering situations and settings that can only be imagined. What about you? Do you set reading goals? If so, what are you reading? What are your favorite types of books? I’d love to hear from you and I’m always looking to add to my reading list. Click here to enter a Rafflecopter for a chance to win a complete set of the Antique Hunters Mysteries. This is a new series to me. I like the antique storyline and would love to read the books. Sounds like a great series.